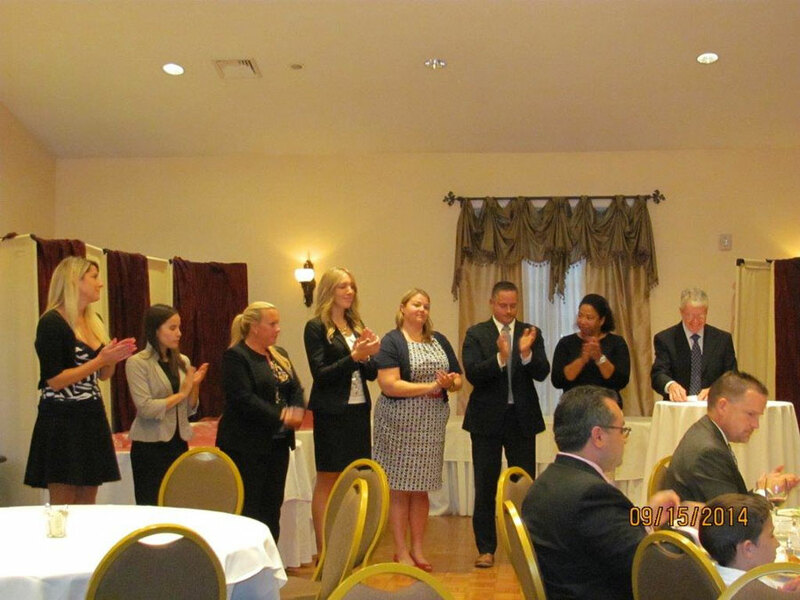 The Warren County Bar Association recently installed its new board members at Bello Giorna, September 15, 2014. This association is formed to provide all people of Warren County access to and awareness of the law, and to promote respect for the legal profession. From left to right, officers: Jennifer A. Vorhies (Trustee); Rachel Nguyen (Trustee); Nicole N. Lenar (Past President); Jennifer L. Toth (Treasurer); Katrina L. Campbell (Secretary); Richard W. Wenner (Vice President); Sandra Woolcock (President); Hon. Edward M. Coleman, P.J.Ch. and not pictured Jessica Lee Cardone (President Elect).